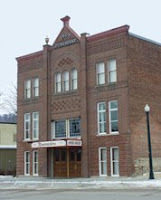 The Elkader Opera House, built in 1903, is one of several Elkader sites listed on the National Register of Historic Places, and home to the local Opera House Players. After years of a variety of different uses, the Opera House underwent extensive renovation in 2003 to restore it to its 1903 glory. 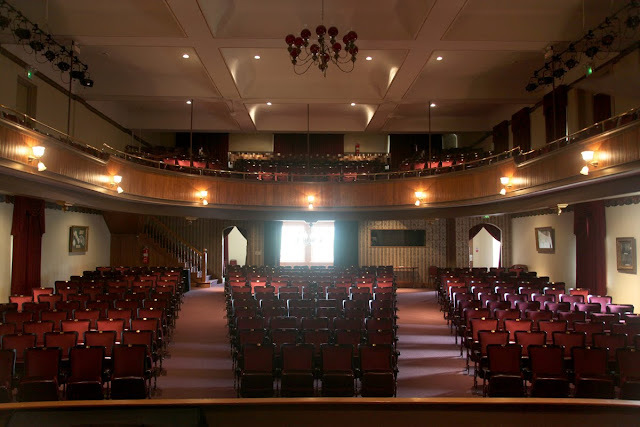 Much of the restoration work was completed through volunteer efforts and donations; one of Fire Farm's contributions was re-painting the decorative stanchions for 450 seats with new powder-coat paint finish. Today the Opera House remains an active community venue, regularly hosting plays, musicals, concerts, recitals and lectures. When we at Fire Farm started brainstorming ways to showcase the new Constellation pendants, the Opera House space came up as a, well, no-brainer. 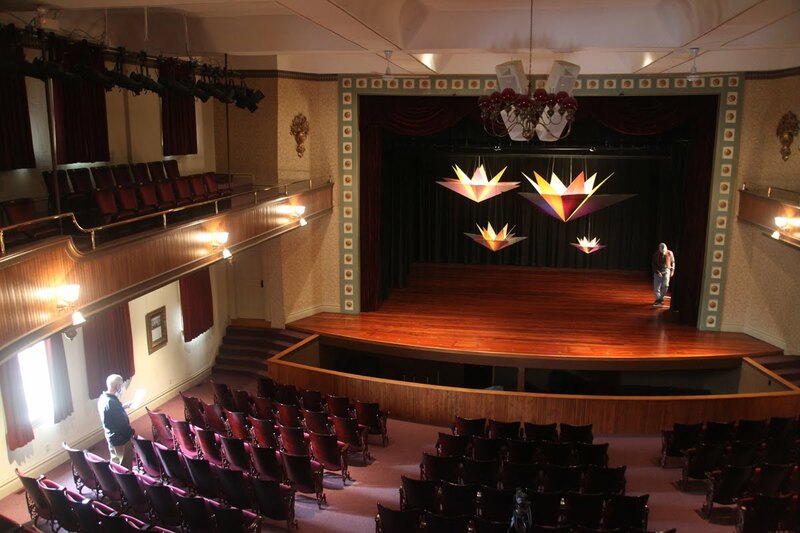 Not only do we have a special local connection to the Opera House, but back in 1990, Fire Farm itself emerged from founders Ben and Adam's previous work in theater and theatrical lighting. What better debut for our stars than back on the beloved stage? Last week the Fire Farm team worked on flying the four fixtures above the stage, in preparation for our photoshoot this week (which will yield more goodies than just still images: we have plans for fun video clips, too, just you wait!). Get a more complete behind-the-scenes look of the photoshoot in the Facebook gallery here. Visit Constellation Project 2913 page here for more information. What do you think? Have a comment? Click "Leave a comment" below.